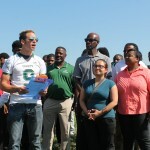 DETROIT, July 11, 2014 – The Detroit Lions will donate goal posts for Detroit’s Cody High School as part of a plan by non-profit Life Remodeled to build a new football field at the school. 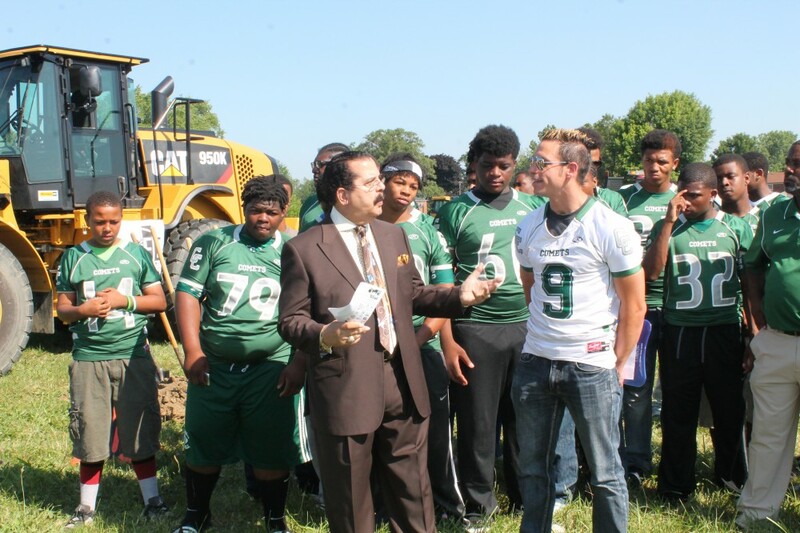 Construction of the field is major step toward Life Remodeled’s goal of renovating the school and its surrounding neighborhood this summer. 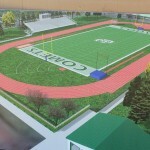 The Cody Comets’ former field sat on the same location as the new field until 2006 when vandalism and lack of irrigation caused the turf to become unplayable, forcing the team to play all games at “away” venues. 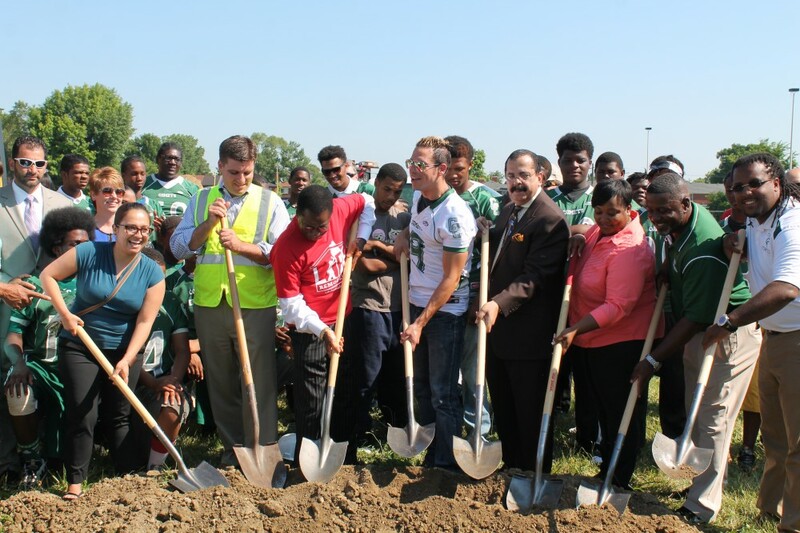 When completed, the field will also be home to eight Detroit Police Athletic League (PAL) youth football teams and one Detroit PAL youth soccer team. The 90,000 sq. 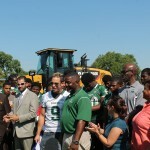 ft. synthetic turf gridiron will be built on the Stein Playfield, just northwest of the school. 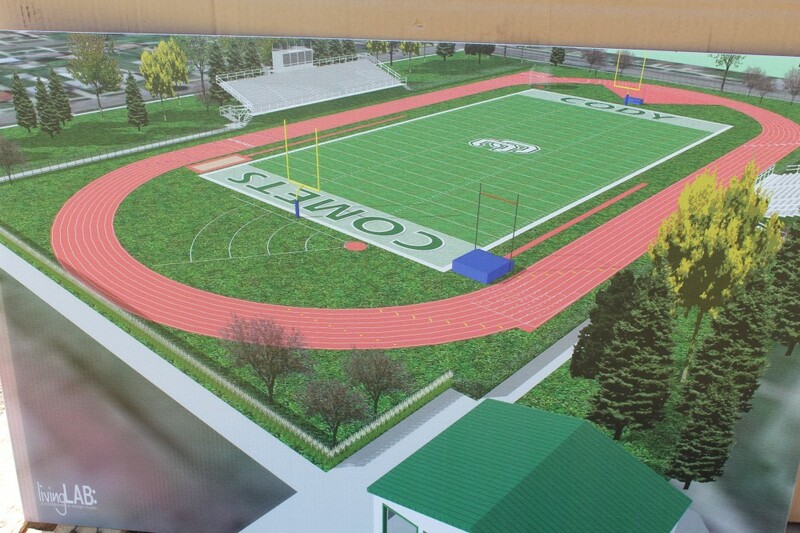 The cost of the athletic field project is $650,000, of which $291,000 has already been raised. 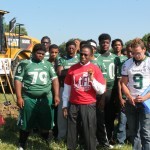 Major contributors include the Skillman Foundation, the United Auto Workers, and a number of metro-area churches. 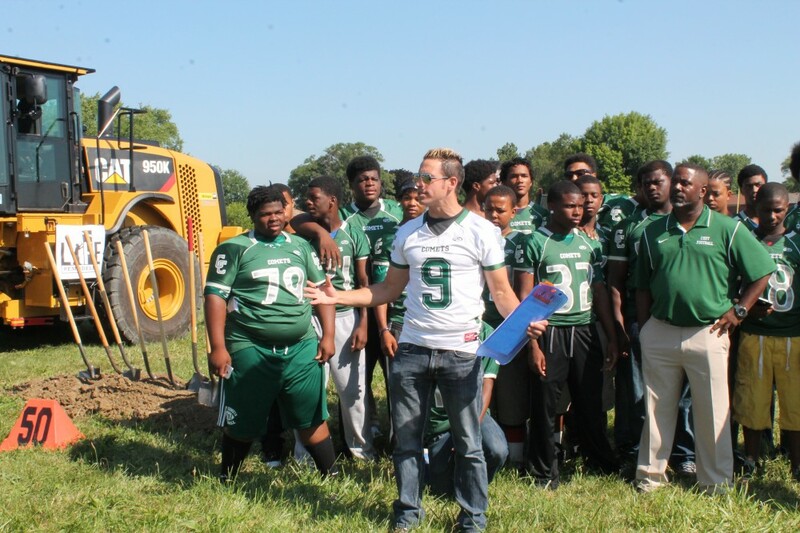 In addition to the Lions, major supporters of the football field project include general contractor Barton Malow, Foresite Design, Pittsburgh-based ProGrass is providing the synthetic turf and Edw. C. Levy Co. is donating the base stone. Mark Dandar of Mark Land Surveying, Jason Arnold of Creative Site Solutions, and Mike Mentz of Turnkey Enterprises are also donating their services. 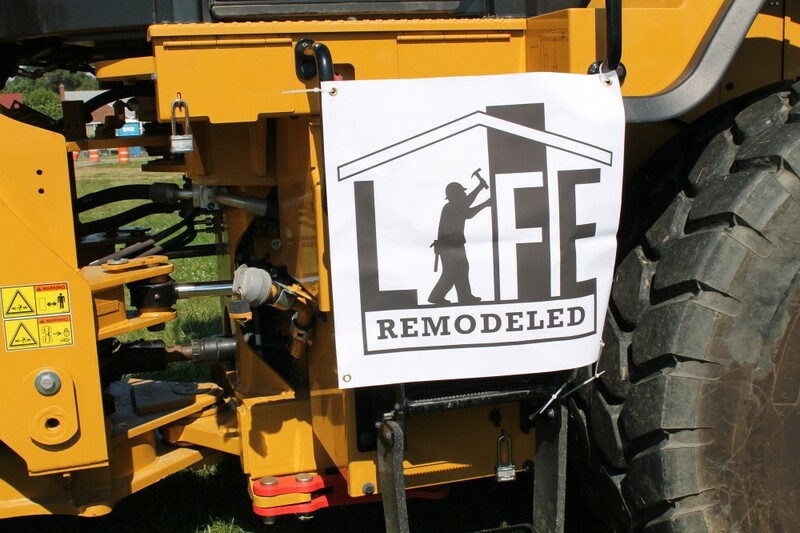 Since 2011, Life Remodeled has built six new houses and beautified surrounding neighborhoods in six cities throughout southeastern Michigan – each in just six days. 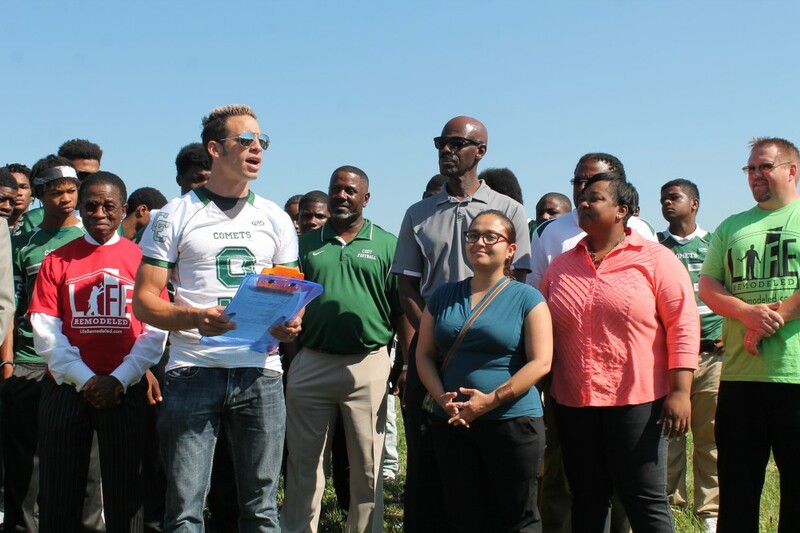 In 2014, they shifted their vision to the city of Detroit and its schools. 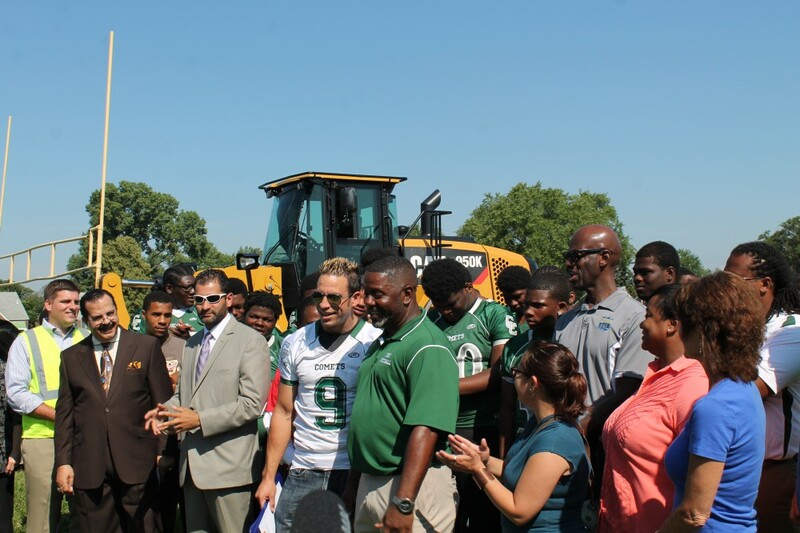 The majority of the work will be performed from Aug. 11-17, 2014, but Life Remodeled will remain in partnership with Cody High School for one year to help address more long-term needs. 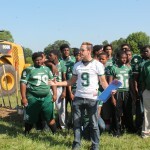 In addition to painting, landscaping, roof and electrical repairs, and updating classrooms, Life Remodeled will partner with students, administrators, community organizations, neighbors, churches, and local companies like General Motors and Quicken Loans to demolish 10 nearby abandoned houses, remodel 20 others, and beautify over 100 surrounding blocks. Nearby Mann and Henderson Elementary Schools will also receive light facelifts. 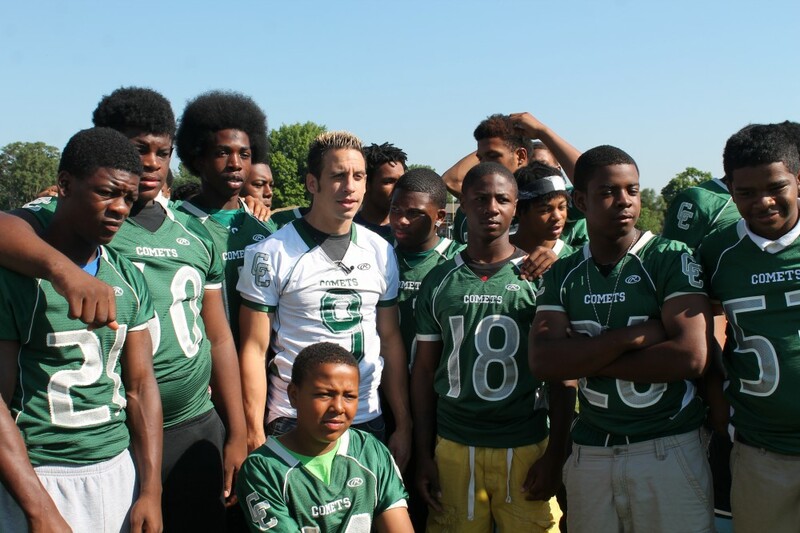 The Cody Rouge neighborhood has the second highest concentration of youth in Detroit – but also one of the highest rates of crime committed against young people in the city. In spite of these challenges, Cody has proudly established specialized academies of public leadership, medicine, and technology in addition to its regular curriculum. The school’s graduation rate has increased from 40 percent just four years ago to over 80 percent today. 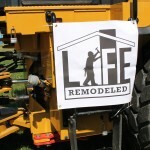 About Life Remodeled: Life Remodeled is a 501 (c) (3) non-profit organization based in Detroit, Michigan that exists to remodel lives, one neighborhood at a time. 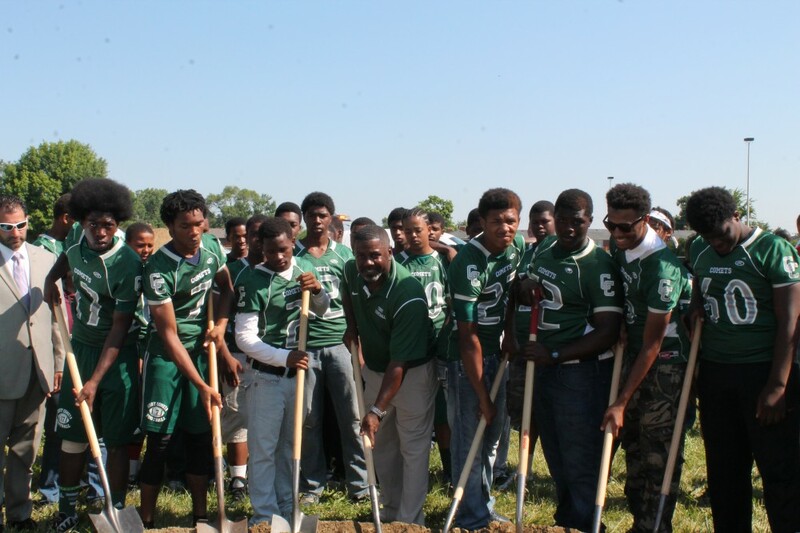 Our strategy includes remodeling a Detroit Public School each summer in order to create academic and athletic improvements. 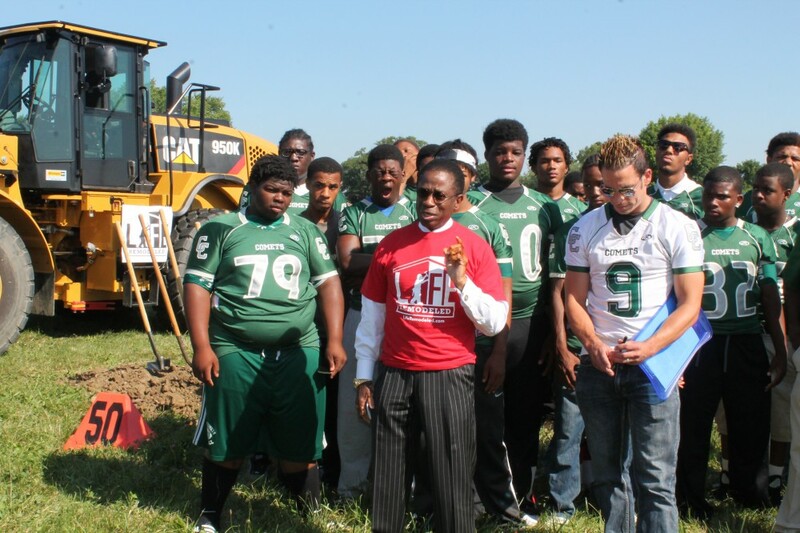 In addition, we believe that if we partner with the local residents to remove blight in the surrounding areas and create safe and inspirational pathways to the schools, we will help to sustain and build up a neighborhood that radiates hope to the rest of the city. All of this is made possible by thousands of highly motivated volunteers and very generous donor partners who are unified in working towards a common goal: to radically transform our community with enduring sustainability. 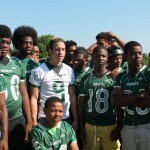 This entry was posted in Info News Center, News and Press Releases, Sports and tagged Featured.